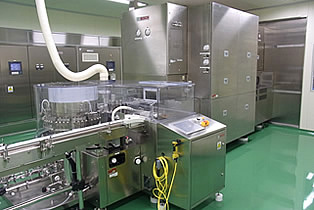 Pharmaceuticals｜Antibiotics (CMO business) Formulation Production Lyophilization Line 〜Vial Production〜 ｜API Co., Ltd.
We operate two Freeze-Dryers with a shelf area of 20 m2 and 27 m2. 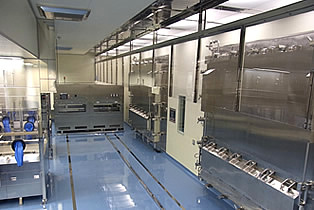 An AGV allows vial loading/unloading in a sterile and dust-free environment. 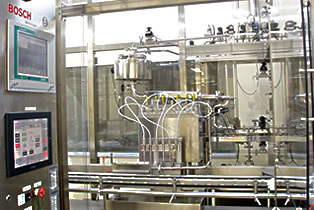 Using a temperature-compensated time pressure system, we strive for high accuracy in filling and integrity of CIP/SIP. With a 300 L capacity for both preparation and filtration, this device can prepare between 40 L and 300 L of liquids under temperature-controlled conditions. By adopting individual cleaning method, we pursue a certainty of removing foreign object. 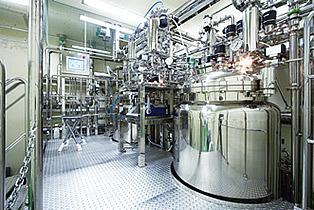 We offer sequence of process for vial's washing to sterilization, and drying. A diaphragm pump ensures stable, high-accuracy filling. 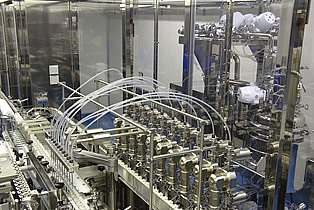 Filling volume is controlled with in-process control (IPC). 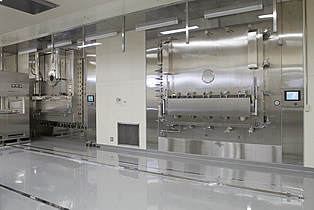 We operate two Freeze-Dryers with a shelf area of 27m2. 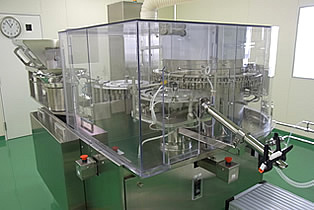 An AGV allows vials to be loaded and unloaded in a sterile and dust-free environment.